Gin has fast become one of the most popular drinks again in the UK and if you enjoy trying out new, artisan, small-batch gins that you can’t find anywhere else, you’ll love Craft Gin Club! 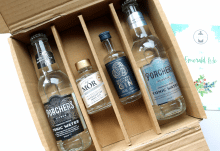 I always look forward to receiving the Craft Gin Club box and this month’s selection is particularly amazing. Curious to find out more? Keep on reading! 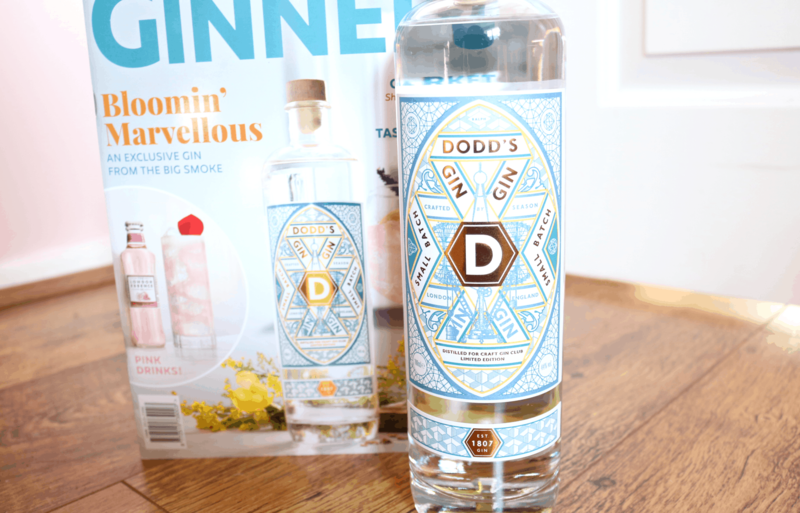 April’s featured gin of the month is a very special Limited Edition number from Dodd’s Gin which has been developed especially for Craft Gin Club members. 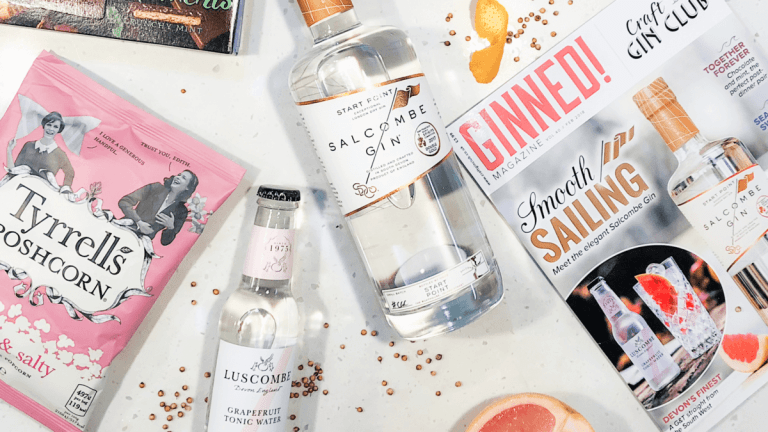 Hand-distilled in small batches in Bermondsey, London, this one-off bottle is a beautiful and elegant gin that’s perfect to enjoy for the upcoming Easter Bank Holiday weekend and beyond. Built on a classic Dodd’s base of Juniper and Honey, this special version has added floral notes of Jasmine Green Tea which are heightened by Heather Honey, Raspberry Leaf, Bay Leaf and Angelica Root for the ideal Spring-tastic G&T. This has to be one of my favourite bottles that I’ve received from Craft Gin Club – it tastes incredible! 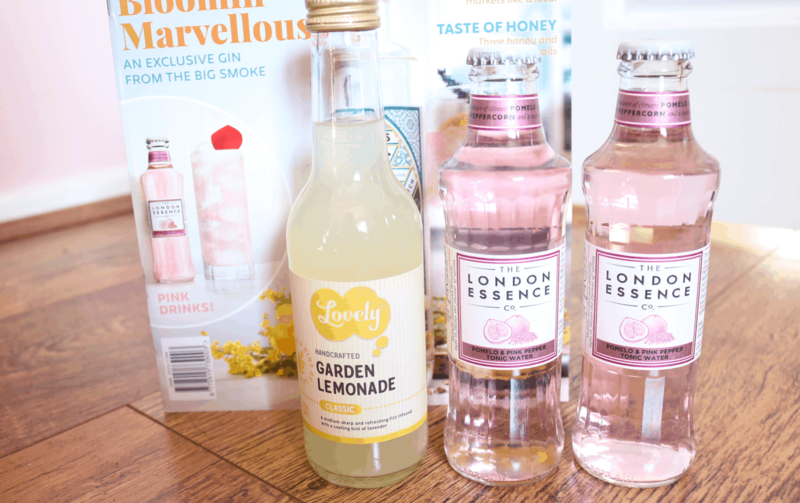 To accompany your gin this month, you’ll find two bottles of The London Essence Co Pomelo & Pink Pepper Tonic Water which not only creates a pretty pale pink colour to your G&T, but adds a unique flavour and essence that really gives it an extra zing! There’s also a bottle of handcrafted Classic Garden Lemonade from Lovely Drinks which you can enjoy on its own or mix with gin for a sunny afternoon cocktail drink. 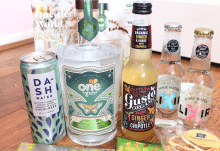 Throughout the GINNED magazine, you’ll discover a whole range of exciting ways to enjoy your featured gin this month and there are lots of Spring themed cocktails that you can use these garnishes for. 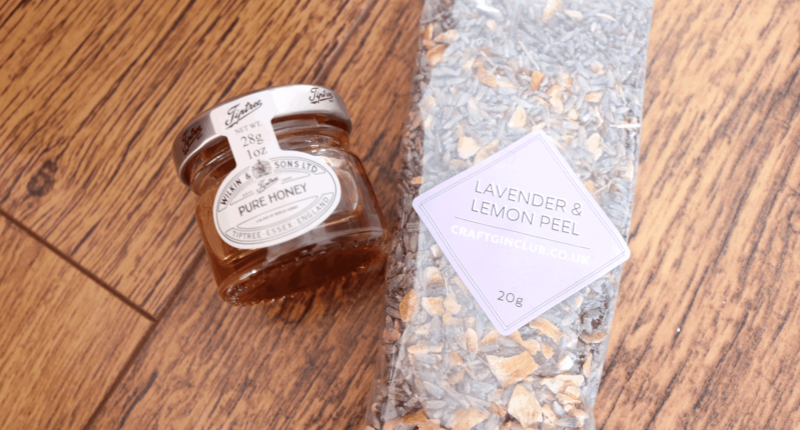 The Tiptree Pure Honey has a sweet and pure taste which is even more delicious when drizzled into a cocktail, and the Lavender & Lemon Peel adds some zesty, floral notes for something different to try out. 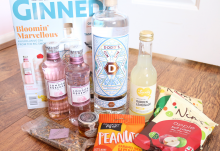 To round off the box this month, Craft Gin Club have included a fab selection of savoury delights. 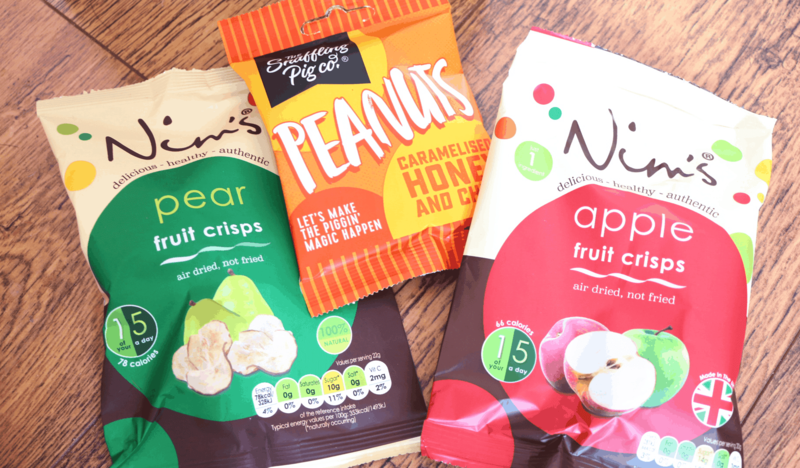 There are two bags from Nim’s; one of Apple and one of Pear Fruit Crisps – a healthier alternative to regular crisps and a tasty way to get one of your five a day, plus a delicious bag of Caramelised Honey and Chilli Peanuts from The Snaffling Pig Company – yum! 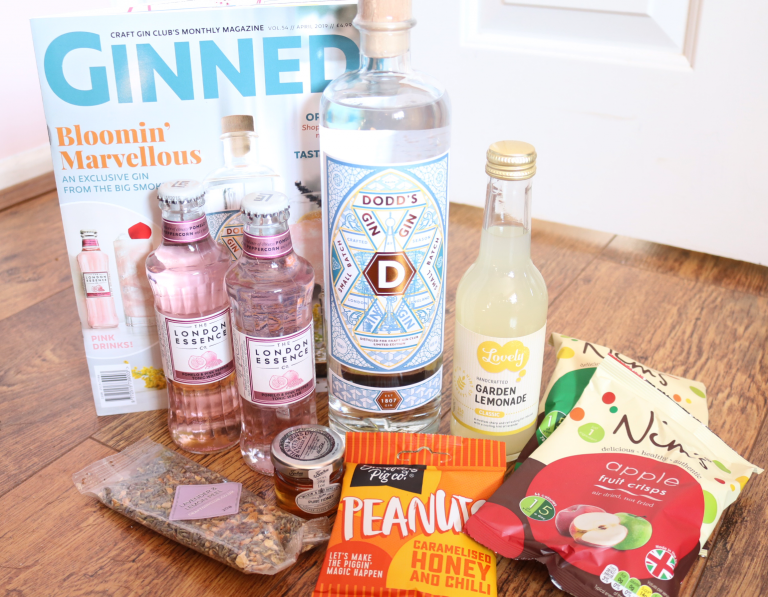 Another amazing box from Craft Gin Club - if you love gin, you must try them out!